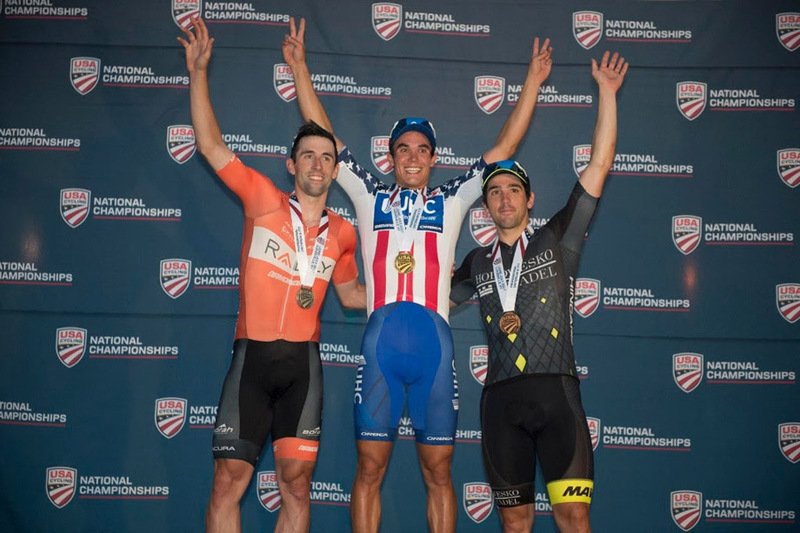 Eric Young Finishes Second as Rally Cycling Claims its Eighth National Title. Erica Allar put on a masterful display of tactical savvy and speed to claim the Criterium National Championship in Louisville, Kentucky. Emma White crossed the line in sixth to finish second in the U-23 category. 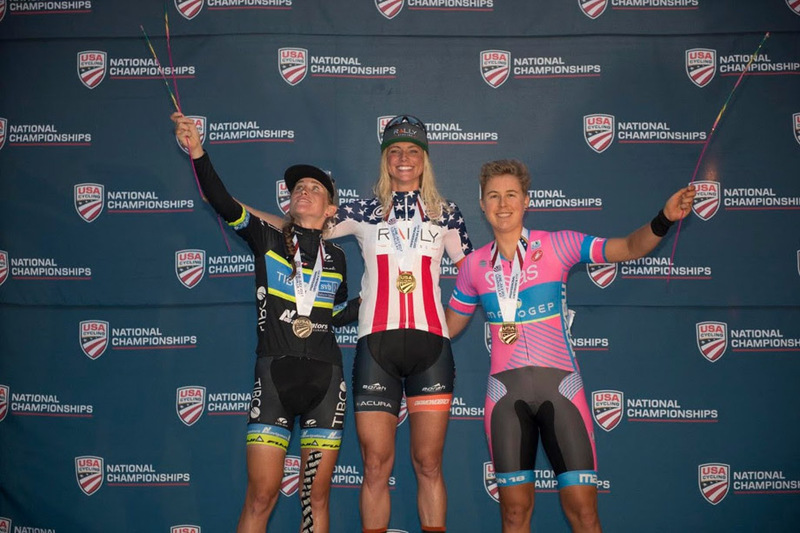 Allar’s win was the team’s eighth national title in the last nine days, while Eric Young’s second-place in the men's race brought Rally Cycling’s nationals podium count to eight. 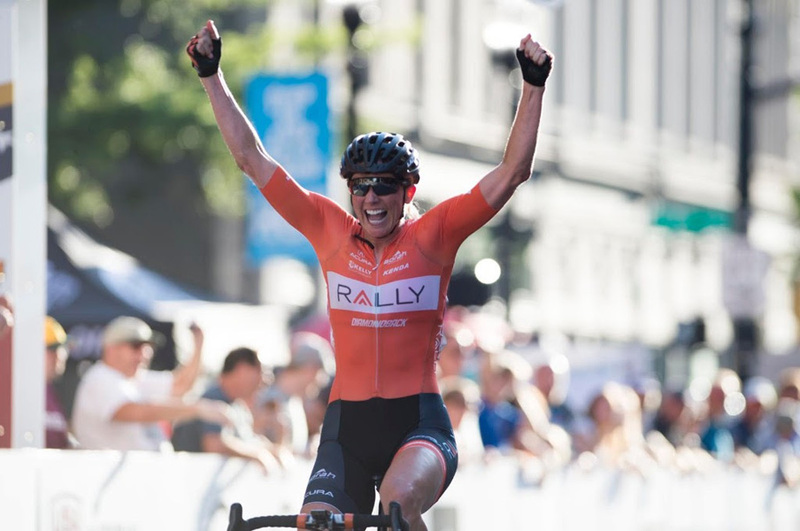 Rally Cycling dominated the race with Amy Benner covering the first couple of moves before Erica Allar, and Lauren Stephens (TIBCO-Silicon Valley Bank) rode away from the peloton. The duo quickly established a 20-second gap. With Allar out front, Benner, White, Megan Heath, Caitlin Laroche and Monica Volk took up position at the front of the race. The only rider to escape the grasp of the Rally Cycling led pack was Irena Ossola (SAS-MACOGEP) who spent most of the race chasing the lead duo alone. A crash with five laps to go resulted in turmoil and neutralization of the race. After letting the legs cool, the riders restarted facing a brutal five lap sprint to the line. Allar and Stephens wasted little time and expanded their lead to 45 seconds with just three laps to go. Knowing the power of Allar’s finishing kick, Stephens refused to pull through in the closing kilometers, and Allar dropped the pace. The game of cat and mouse allowed Ossola to catch them on the final lap, and she wasted no time in launching a strong counterattack. Allar was quick to respond and was able to use the move to launch her sprint and take the stars and stripes. In the men’s race, Brandon McNulty put on an impressive show of strength. Two days after winning the U-23 time trial title, McNulty attacked early and went away solo. After several laps alone out front, Ben Wolfe (Jelly Belly) successfully bridged, and the duo would stay away for almost the remainder of the race. With four laps remaining, Wolfe cracked, leaving McNulty alone out front to hold off the chasing peloton. Instead of surrendering, McNulty charged ahead and it wasn’t until the line was insight on the penultimate lap that the diminished pack was able to reel in the 19-year-old. The final lap was a chaotic run for the line that saw Travis McCabe (UnitedHealthcare) take the win. Two-time National Criterium Champion Eric Young crossed the line in second. Rally Health, Inc. is a consumer-centric digital health company that makes it easy for individuals to take charge of their health and collaborates with health plans, providers, and employers to engage consumers. The company’s flagship offering is Rally®, a digital health platform that offers a configurable suite of solutions that help consumers manage their health and health care needs: Rally EngageSM focuses on personalized health and wellness support; Rally ChoiceSM is a benefits marketplace; and Rally ConnectSM offers physician search and cost transparency. Nearly 30 million consumers have access to the Rally platform through payers such as UnitedHealthcare, BlueCross BlueShield of South Carolina, Health Alliance, and thousands of employer groups. With offices in Washington, D.C., San Francisco, Chicago, Minneapolis and Denver, the team behind Rally Health has been working together since 2010 to transform the consumer health and wellness industry. For more information, please visit www.RallyHealth.com. Circuit Sport builds and executes modern engagement platforms within the dynamic world of professional cycling. Our unique approach to team management and marketing has set an international standard for over twenty years. Our pro road racing team, Rally Cycling, is more than just a collection of logos on a jersey – they are a real-time connection with a passionate, involved global fan base. Get in touch to learn how we help brands shine in the crowded world of sports marketing. www.circuitsport.com.